A Lecturer at the University of Cape Coast (UCC), Prof. Steve Chen, was fired for expressing his views about the University. “Back home, there are few things that bother me more than seeing people drive SUVs in the city. They’re little more than gas guzzling air polluters. Why anyone would need them to navigate perfectly smooth concrete is beyond me. I’d be interested to look at the percentage of SUVs that actually make it off road. If Ghanaians are okay with their tax dollars being wasted, that’s for them to decide. As a Canadian, I’m annoyed at the potential that our tax dollars are coming here to get wasted in the same manner. When we first arrived, there was an article on the UCC website reporting on the Vice Chancellor’s meeting with the Australian High Commissioner. A request was made for the Australians to assist in medical training as well as to drill bore holes in the surrounding communities (in order to reduce the strain on the University water system — read our posts on the frequent water outages). From the webpage, I was led to believe that bore holes must be very expensive. According to a friend here, a bore hole will run roughly $2,000 USD. Now, someone please correct my maths if it’s wrong. A Land Cruiser costs in the $65K ballpark, and a Jeep Grand Cherokee is in the $35K range. Instead of buying a Land Cruiser, they can buy a Grand Cherokee and save around $30K. Use the money to drill 2 boreholes for each of the 7 surrounding villages and stick an extra on campus for posterity. Or, do Australians want their tax dollars used to subsidize luxury lifestyles? Where was UTAG and Dr. Eric Opoku Mensah when Steve Chen was sacked? Ooh, I get it! UTAG, it appears, has been auctioned to the highest bidder, so unless a bent Member of Parliament (MP) meets them at dead of night to bribe them with ill-gotten wealth (may God replenish Paabadu a billion times), then forget about UTAG issuing useless Press Statements on your behalf. What moral right has UTAG National, headed by the meandering and zigzagging Dr. Eric Opoku Mensah, a lecturer at UCC, have to comment on the dismissal of some staff at the University of Education, Winneba (UEW), who caused financial loss to the State or like Prof. Avea Nsoh, who has persistently shown gross misconduct and total disrespect towards his employer, the Governing Council? 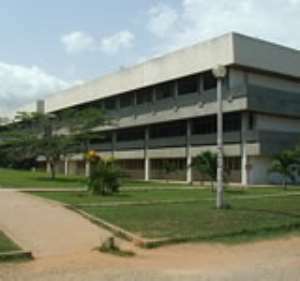 A school of thought is of the opinion that if a lecturer at UCC is sacked as a result of a harmless comment as seen above, then the punishment for lecturers who show gross disrespect to its Governing Council by way of walking out on it with confidential documents, or threatening to butcher its members, or lecturer coercing students to pay him money to carry out the long essay research for them, etc, would have been nothing short of ‘death by firing squad’ and not the humane UEW disciplinary action.